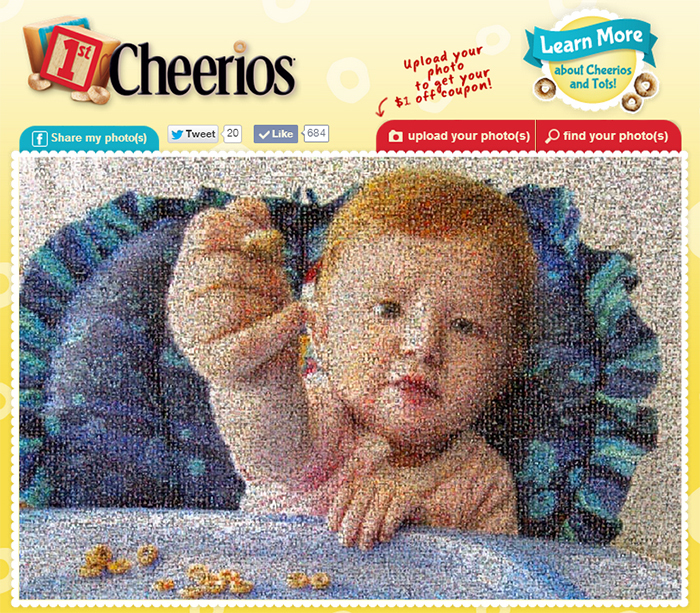 An online interactive photo mosaic is the perfect way to bring people together for a good cause. Three years ago, we teamed up with the American Diabetes Association to create a fan-driven photo mosaic. The goal was to show the world what a day in the life of diabetes is really like. The photos came pouring in and the results were truly inspirational. 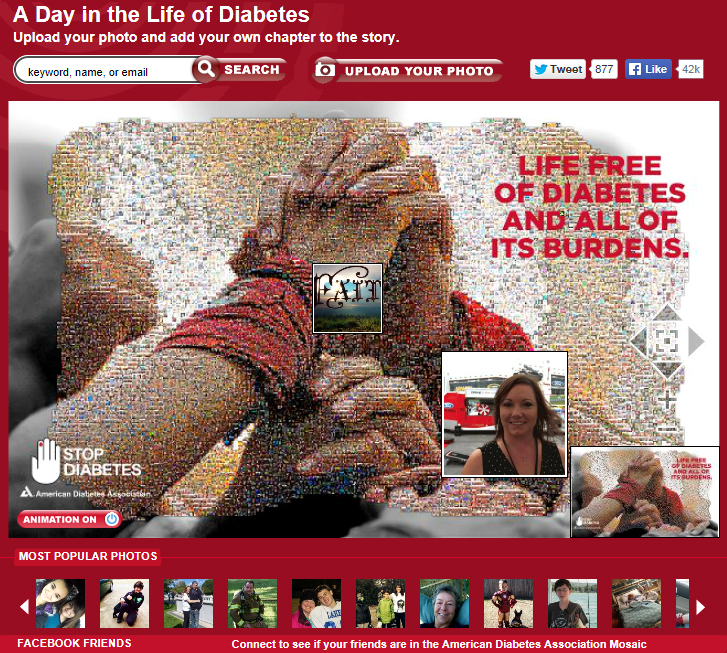 With social sharing and audience engagement being a key factor, the ADA online photo mosaic has played an important role in diabetes awareness these past few years. 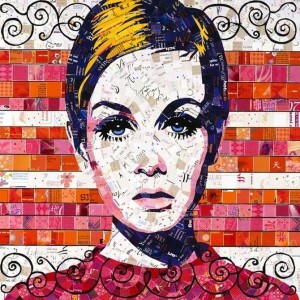 This entry was posted in Mosaics, Online Interactive Photo Mosaics, Photo Mosaics, Photography and tagged ADA, American Diabetes Association, diabetes, interactive photo mosaics, mosaics, online photo mosaics, photo mosaic, photo mosaics, photomosaic, photomosaics on June 26, 2014 by Robert DeCarolis.